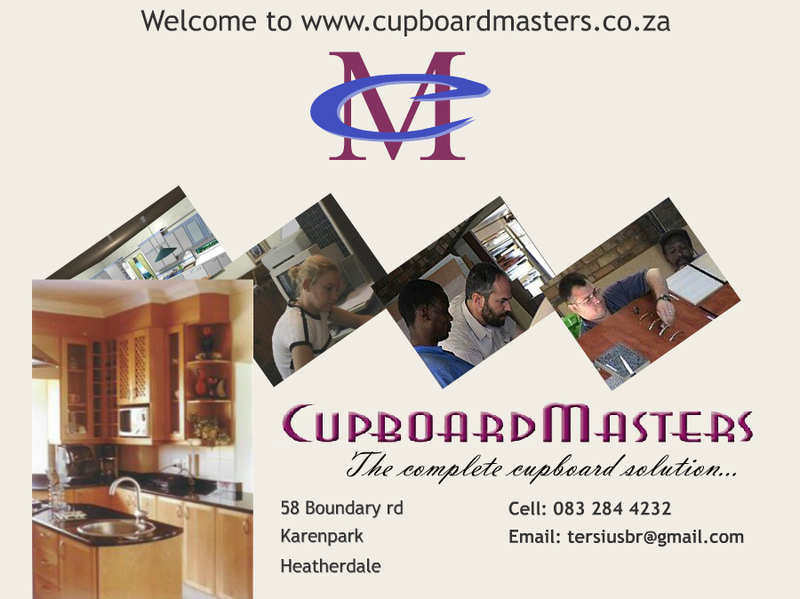 Cupboard Masters is a small kitchen cupboard company which offers excellent service due to a personal commitment of the directors. We use computer programs for our designs and customize according to your specific needs. Cupboard Masters is well placed in the market with price and quality and offers good value for money. Sunnyside, Vereeniging and the whole of South-Africa even up to Hermanus.